After Costa Rica’s historic string of World Cup wins so far, the small Central American country of 4.8 million is hoping that all the extra attention will translate into more tourists and foreign investment. “[The World Cup] has aroused enormous curiosity and interest in Costa Rica. That doesn’t mean foreign investment is going to be pouring in, but whatever the new government does is going to get a lot of attention as a result of the World Cup,” Michael Shifter, president of the Inter-American Dialogue, told The Tico Times. Joy Olson, executive director of the Washington Office on Latin America, agreed. “It has a real psychological boost to the country and how it’s perceived,” she said, opining that the attention could have a positive effect on several sectors of the economy, including tourism. The National Soccer Team’s World Cup upsets could not have come at a better time for President Luis Guillermo Solís, who went on a whirlwind tour of the United States in June to drum up foreign investment. The Costa Rican Tourism Board (ICT), a government agency, extended the broadcast of television spots in the United States, Spain, Germany, England, Wales, Scotland, Northern Ireland, the Netherlands and France, along with print and online ads during Saturday’s match against the Netherlands. The ICT and the Foreign Trade Promotion Office have been publishing and airing ads with the country’s new “Essential Costa Rica” brand since June 8. But eyes on the screen don’t necessarily translate into sales, Pablo Heriberto, president the National Tourism Chamber (CANATUR), told The Tico Times in a telephone interview. “The investment we’ve made in the last eight years in media exposure has been multiplied 10 times in the last 15 days,” Heriberto observed, referencing the period since the World Cup started in June. “But not everyone who sees us can afford a vacation to Costa Rica. The world’s eyes are on Costa Rica but eyes don’t mean sales,” he said. The CANATUR president said that Costa Rica’s tourism industry needs to be ready for the possible bump in visitors, especially when it comes to improving its presence online. “The hotels that are seeing the most success are those that allow tourists to buy directly [online],” Heriberto said. The tourism chamber president also said that operating costs, including the price of electricity, need to be kept in check if Costa Rica’s tourism industry will be able to leverage the positive press. 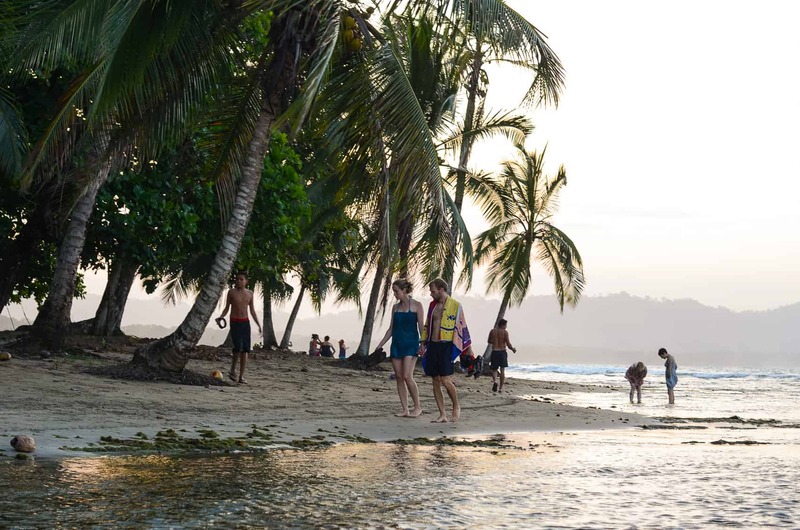 Costa Rica welcomed a record-breaking 2.4 million tourists in 2013 – although many critics question how those numbers are compiled – an increase of 3.6 percent compared to 2012, according to figures released by ICT in January. “The country has clearly captured the imagination of the world now they need to turn that into results,” Shifter said.